M.U.M. 's the Word! We are Better Together! WMFHA is really one large and extended family. We work together and we play together. We depend on one another to help us be successful in our businesses. Even though we often compete with each other, we can do it in a cordial and supportive manner (remember, what goes around, comes around). Most important is the fact that we need each other to grow and prosper. Our management company and property members require a wide variety of vendor members to provide the products and services that are essential to a successful apartment industry. The success of each individual apartment community owes a great deal to the quality and affordability of the services and products that their vendor companies provide. It makes sense then to sustain and strengthen this relationship for everyone. And that is what Members Using Members is all about. Many of our members already understand the importance of doing business with another member company and have made it part of their management practices. Supplier members contribute to WMFHA and to the multifamily housing industry by sponsoring and contributing to the many events held by WMFHA. Supplier members are also an important part of WMFHA’s committees and our leadership structure, bringing their knowledge and expertise to help guide the future of WMFHA. These are all good reasons for management companies to make sure that the vendors you use and support are part of the WMFHA Family. We are committed to making Members Using Members an integral and permanent part of this Association’s operating philosophy. After all, it’s just good business for everyone. So... What Now? What’s Next? When you’re looking for a professional service company or a quality product provider, consider using companies that are members of the Washington Multi-Family Housing Association (WMFHA) first. If you are currently doing business with a company that is not a WMFHA member, encourage them to join the Washington Multi-Family Housing Association. Have them visit www.wmfha.org for details. Check out the exciting events and seminars offered by WMFHA. Plan to attend one of these events quarterly. Go to our Facebook page or check out the calendar on the WMFHA website. WMFHA Products and Services members will conversely promote your company or your business, as well as encourage membership in WMFHA. With your support, the Washington Multi-Family Housing Association has been the voice of the Washington State multifamily housing industry for the past 13 years! Through educational programs, WMFHA has trained hundreds of individuals who have created one of the most professional multifamily workforces in the region. 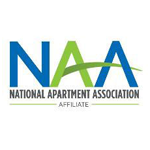 These programs include the NALP (National Apartment Leasing Professional), CAM (Certified Apartment Manager), CAPS (Certified Apartment Portfolio Supervisor), CAS (Certified Apartment Supplier), and CAMT (Certificate for Apartment Maintenance Technicians). Through a full-time legislative advocacy effort, WMFHA has provided its members a voice in local, state, and national issues ranging from Landlord-Tenant Law, Fair Housing, Rent Control, Tenant Screening, Inspections, and many others. Through the many WMFHA networking events, such as Emerald Awards, EdCon education conference, Washington Apartment Outlook economic forecast luncheon, Tapas & Topics, Chili Cook-Off, Business Exchange, membership luncheons and the Holiday Giving Gala, members can learn, grow, meet and build business relationships that benefit all parties.